Consulates are considered the property of that country. These locations require specific and professional security. 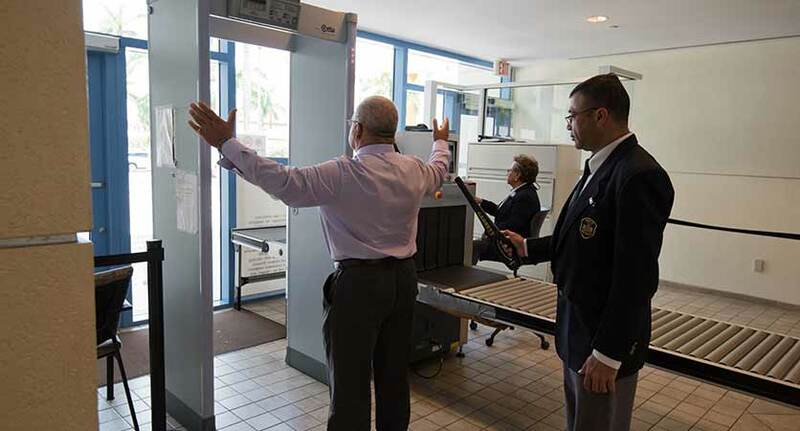 Many consulates require “Certified” security personnel able to correctly use Magnetometers, hand held screeners and X-Ray machines to detect any potential harmful object prior to allowing person’s entrance into those secure offices. Feick Security has established the Consulate Security Corp, CSC. This elite team of experiences officers receive training and Certificate’s evidencing that they have taken the 8-hour course and test on the use and methods of various security equipment. These officers are taught the correct methods of inspection of persons and property. They are specifically trained to become alert to activities that may need their they quick action. Our officers are instructed in habits specific to persons from those specific countries so they may better communicate with persons coming to those consulates. Our CSC officers have become an integral part of those Consulates we are trusted to protect.